Micheal Smith and Justin Harding hit the Maribrynong River in search of schools of Bream. 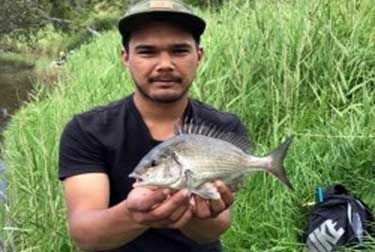 The guys fished the rising tide near the Flemington area and upper Maidstone sections catching small Bream in plague proportions. Using bait the guys also managed a few Bream in the high 20’s and low 30s. They had a great session catching plenty of nice Bream and dropping a good size Pinkie. Well done Michael and Justin.